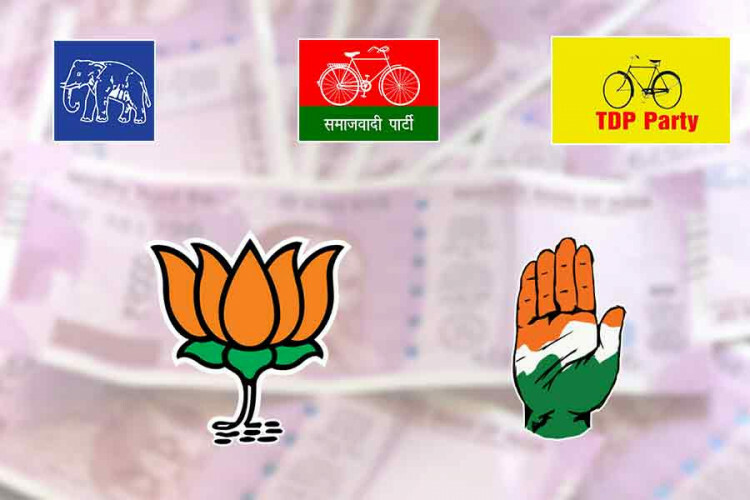 As per the reports, the Bahujan Samaj Party has turned to have the biggest bank balance among all the political parties. In its 8 bank accounts, the party is having Rs 669 crore and Rs 95.54 lakh as cash in hand. The second spot on the list has been grabbed by the Samajwadi Party with Rs 471 crore in its bank accounts followed by Congress on the 3rd spot with Rs 196 crore in accounts. 4th comes TDP with Rs 107 cr in a/c.